Here's the collection of bike reviews from various riders as well as the BAT team. KLX 250 The Little Bike That Could Bob reviews his Kwakker KLX250. It is way more than a dirt bike with lights, especially now Bob's had a fettle inside the motor. BMW F850GSA Exclusive Review Mark Collins has the chance to compare and contrast his 800 against BMW's new F850GSA. It's a hard life, it's a dirty job, but someone has to do it I guess. Poor Mark. A Look At The Honda C125 Cub Honda has re-invented the C90 into the new C125. But who is it really for? Kawasaki Ninja 400 Test Ride Review So what does the Hobbitses thinks of Kawasaki Ninja 400s? She has to ridesis them to makes her mindes up. Scarees it is. 2019 CB500X First Look Ren takes a look at Honda's new and maybe improved CB500X. It also appears Honda must read this blog. Benelli TnT125 Owner's Review Nigel brings to life Benelli's small, stylish and rather curious TnT125. Teenagers may love it but what about a septuagenarian? CB300R Test Ride Review Ren gets his grubby mitts on Honda's CB300R. Can this new bike cut the mustard or is it just a styling exercise? Who is it aimed at anyway? Royal Enfield Himalayan Test Ride Review Ren manages to scab an hour on Royal Enfield's Himalayan. What will he makes of the Indian manufacturer's latest creation? A Look At The Himalayan What on earth has Royal Enfield brought us? 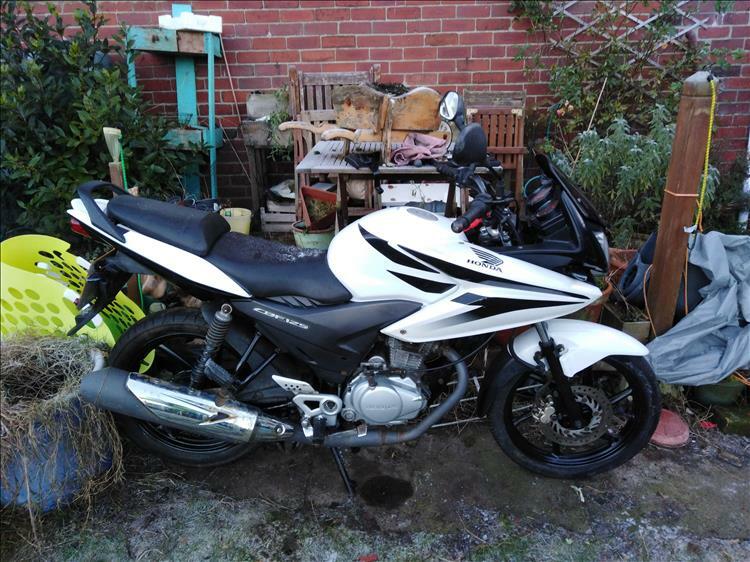 It's an adventure bike, it's (relatively) cheap and on paper it looks good(ish). Ren is preying it proves to be good in reality too. Greetings Ren. Am I getting confused or do you have a CBF 125 and a CBF 250 as well as the CB500X. Also which of these 3 would you say was the best all rounder, the CBF 250, Sharon's Kwacker 250 or the 300 Ninja. When I pass my test I want something big enough to go 2 up on for medium touring but with decent fuel economy so I am not really looking for anything above 400cc. Hi Alan. I presently own a CBF125 and a CB500X. I used to own a CBF250. Best all rounder? The Kawasaki Z250SL is a fabulous funky bike and I love it BUT if you want to go 2-up (with pillion) then it'll be close to blooming useless! The rear seat is nothing more than small pad. The 300 Ninja's rear seat isn't much better from what I can recall. The CBF250 has a much more plush regular seat. One thing I did notice is the rear and front footpegs are close together, I often would clash my feet into Sharon's unless she had her toes on the peg and not the arch of her foot. Finding good CBF250s is getting harder these days. Watch out for any with poor tickover - worn valve seats due to poor servicing. I'd take a look at the MT03. I haven't ridden that 2-up but the rear seat looks more substantial. It's a lovely thing to ride too with accessible usable power. There's a review on here. Economy wise the CBF250 would give me around 80mpg. Sharon's Z250SL between 90 to 100 mpg. I can't comment on the Kwak 300 or Yammy MT03. While Sharon's 250 is great on fuel my CB500X is giving me every bit as much economy as the CBF250, sometimes a bit more (80-90mpg). It also has plenty of space for 2-up. I guess it depends on your budget! Hi Alan, you could do worse than checking out the Suzuki Inazuma...it has a sensible, full size pillion seat, good economy and you can pick up secondhand ones for not much money. It may be down on power though, depending on your expectations/needs! Thanks Ross, will have a look at them as well. Yeah good call Ross, I'd overlooked the Inazuma. They have the big bike feel and spacious seating. I'm told they're good on fuel too. Hi I have almost completed a rebuild of a CBF 125 which had been unused for about 18 months when I got it. Have done a frame up rebuild but now I have to select a new set of tyres. It has a TVS tyre on the front and a Conti go on the rear, the TVS looks like its been on since new as the tyre manufacture date is 2009 and the Conti go is 3 years old. I'm looking at putting Avon Street Runner tyres front and back. Are they as good in the winter as the manufactures say. Hi Maurice. Maybe you can restore my battered old CBF125 when it finally gives up the ghost! Hehe, looking well. I personally have not tried the Avon Street Runners. The Continental ContiGo! are OK, they've given good mileage and work acceptably well. However when the rear gets low the handling gets ropey. I've recently fitted a set of Michelin City Pros and so far I'm happy with them.